Your choice of who represents you at an unemployment appeal hearing is an important decision and when that decision is Attorney Kenneth Carp you are assured of an experienced and caring representative who is concerned about you. Your state may allow a non-attorney such as a human relations manager or supervisor to represent you, however, their representation does not match Kenneth Carp’s experience and knowledge of the law. Unemployment appeal hearings are won and lost based on knowing the application of the law. Unemployment benefits can be paid to claimants who quit, are fired for violating a policy, when the progressive disciplinary process is followed, or a drug or sexual harassment policy is violated. At the Law Office of Kenneth Carp we know the application of the law and how to best present the evidence. Contact the Law Office of Kenneth Carp at 636-947-3600 and learn how our experience represents your interests at the hearing and how our “Continuity of Care” program is a proven to control your short and long term claim rate. Your representative at the unemployment appeal hearing controls the presentation of your evidence and cross-examines the testimony of the former employee, who is referred to as the claimant. Although unemployment hearings appear to be informal since they are mainly by telephone, unemployment appeal hearings are not informal. The judges, sometimes called referees and hearing officers, follow formal legal rules in the conduct of the hearings and the application of the law. They are the only record for review by the courts. 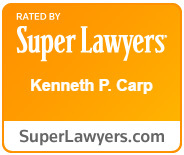 All of the attorneys and representatives at the Law office of Kenneth Carp are experienced at unemployment hearings. Our Attorney representative, Art Neuhedel and has literally appeared at thousands of unemployment hearings. It is what they do every day. Kenneth Carp appear before unemployment tribunals 5 – 10 times a week. Unlike actuarial or cost control firms such as Talx and Employer’s Edge who assign a different representative each time, at the law office of Kenneth Carp we have the same core group represent you each time. We succeed through your success and repeated representation which allows us to build upon our mutual experiences. Corporations such as Harrah’s Maryland Heights have grown to an 85% success rate through repeated representation. Your unemployment taxes are influenced by your claim rate which means the winning at the hearings is critical to controlling your cost. Witness and evidence selection is critical and we assist with those selections. Witness testimony, introduction of the “right” evidence and questioning of the former employer are critical and at the Law Office of Kenneth Carp we do it right. Kenneth Carp has been in your shoes as an Operation Manager at Frito-Lay and as a Lt. Colonel in the US Air Force, which he retired from. Contact us at 314-685-8328 and let us answer your questions about the difference we make as your representative at unemployment hearings. Out of respect for you need to control costs, the Law Office of Kenneth Carp charges set fees for legal services, thereby eliminating the guess work out of your cost for reputable and responsible representation.